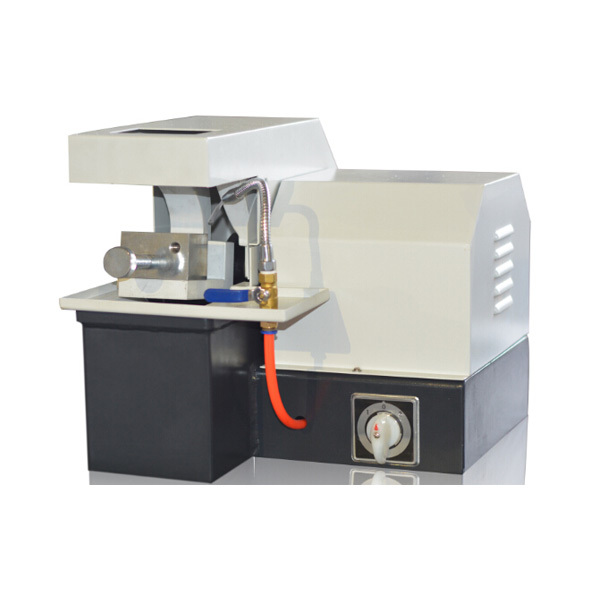 Metallographic specimen cutting machine is suitable for cutting general metallography and lithofacies material specimens. Metallographic sample preparation process, the cutting of the sample material sample preparation procedures to achieve a safe state cut the best, cutting machine with high-speed rotating sheets to enhance the grinding wheel to cut the sample, avoid cutting the specimen overheating and burn material organization, the machine is equipped with a cooling system used to take away the heat generated during cutting. The machine has easy operation, easy maintenance, and other advantages, cutting the range and transmission power are greater than similar domestic products, and sample the best choice for cutting equipment. Looking for ideal Q-2 Sample Cutting Machine Manufacturer & supplier ? We have a wide selection at great prices to help you get creative. All the Specimen Cutting Equipment are quality guaranteed. We are China Origin Factory of Metallographic Specimen Cutting Equipment. If you have any question, please feel free to contact us.